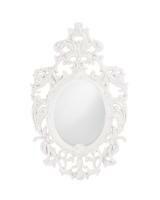 This elegant and ornate mirror takes on a bit of a Gothic tone when finished in glossy black. 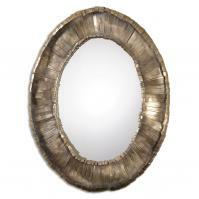 The mirror measures 31 inches by 51 inches overall and the inner oval mirror is large enough for functionality. 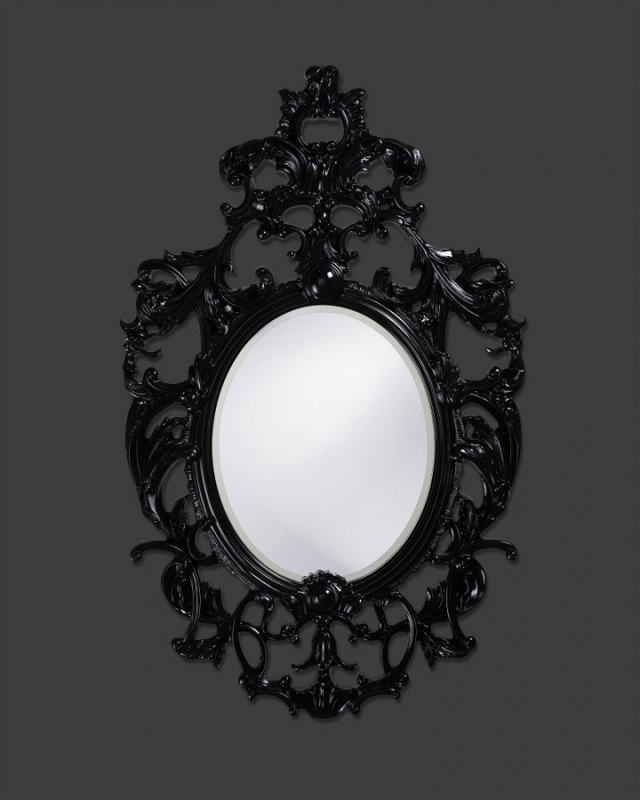 You might consider this piece over a sleek black dresser in a fancy master bedroom or as a bold center piece on a living or dining room wall. 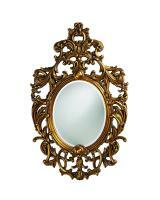 The mirror weighs in at 22 pounds, so it should not provide any issues when it comes to mounting on any type of wall. 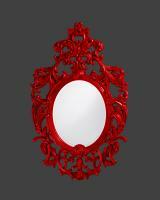 Like all our mirrors, it does come with mounting brackets.